A couple of weeks ago I was contacted by CanvasPop to do a review and giveaway. I was immediately interested because I’ve wanted to hang some new photos in our home and I’ve seen some amazing canvases from CanvasPop on Instagram. I thought the dimensions of the canvas I was being given were small ( I don’t do well with numbers) so I ended up choosing a photo of my youngest daughter thinking it would be a small canvas. The ordering process was simple. Once I chose the photo, I uploaded it to CanvasPop. Within a day an image with the photo showing how it would look was emailed to me. Once I approved the image, within a week, it was at my door! When the canvas arrived at the door, the packaging was quite large. Immediately I panicked because I obviously got my dimensions mixed up. 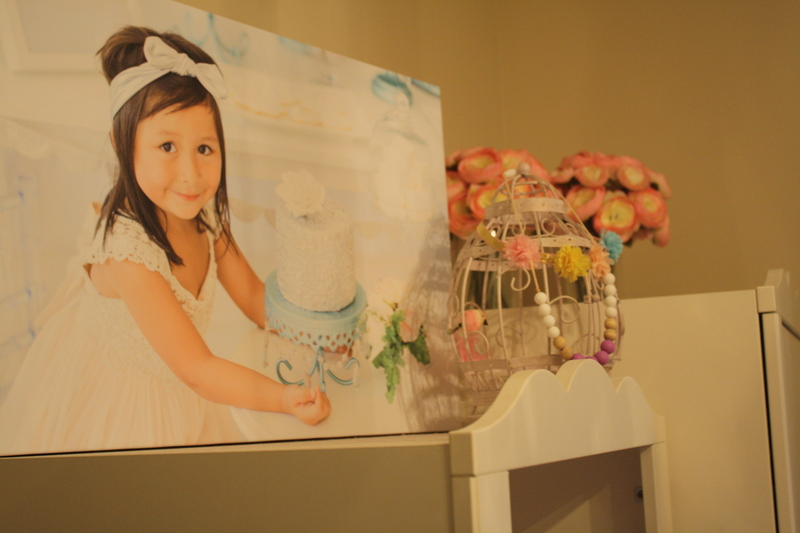 I felt bad that I had this large canvas with just a photo of one daughter! When my middle daughter asked what was inside the box, I told her it was her youngest sister and she instantly became upset. “Why did you only get a picture of her on a canvas?” In response I said, “I thought it was going to be smaller, and I couldn’t find a recent photo of the three of you.” Needless to say, I felt bad. When I opened the package, however, I didn’t feel so bad because the canvas is beautiful. The canvas came with a hanging piano wire, rubber stamps to protect the walls, and a hanging nail. I love the canvas so much I’ll definitely be ordering some more, (with all of my children)! If you would like to order some too, use code: Styling The Inside for a 35% discount. And, guess what? One lucky reader will win their very own 16 X 24″ canvas with a 0.75″ deep wrap from Canvas Pop and free shipping. Simply enter in the image below. Good Luck, I can’t wait to see who wins! Disclaimer: I was given a CanvasPop canvas as compensation for this post. All opinions expressed are my own. What a great giveaway! I’ve been thinking about getting a canvas print of a family photo. Fingers crossed.